Borderless Arts was very honored to be contacted by the Preston Hotel to partner with them on an exhibit that will run from Oct. 4 through the end of the year. Due to the large space of this exhibit, the Teapot Diplomats will be developing art through various workshops throughout the summer. 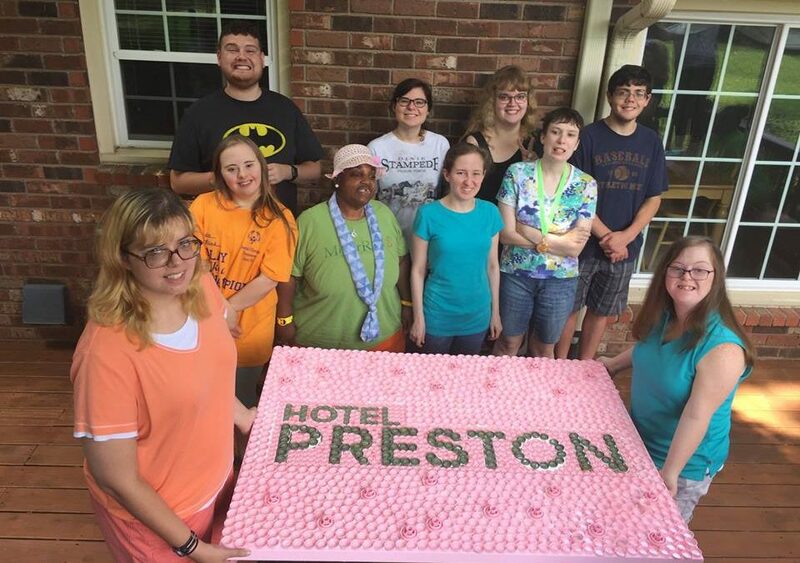 The group worked under the artistic direction of Dee Kimbrell to make a special piece of art that will stay with the hotel. The hotel contracted one piece of art to be made specially for them. It is a bottlecap art piece with their logo that will remain with the hotel. The Teapot Diplomat program is funded through the generous support of Mark and Niki Antonini.